Tor.com is a great resource for finding interesting things relating to science fiction and fantasy (speculative fiction). 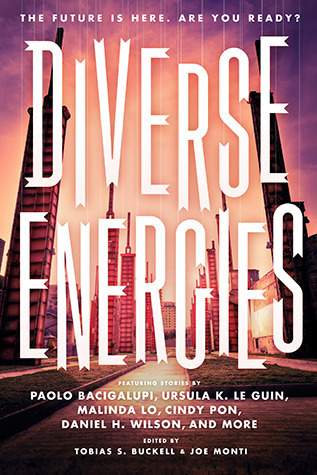 Today's link to an article "Beyond 'Game of Thrones': Exploring Diversity in Speculative Fiction" in Los Angeles Times Hero Complex made me think of Diverse Energies, edited by Tobias S. Buckell and Joe Monti, published by Tu Books. Diverse Energies is a terrific collection of short stories set in bleak futures. Like all anthologies, some of the stories are all out amazing while others are good but don't really connect with me. I love the concept of this anthology but what it was missing was a story from Toby Buckell who did a great job, along with Joe Monti, of putting this together. 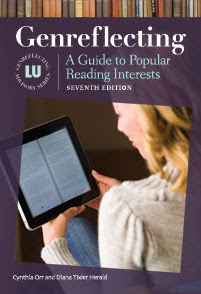 It will resonate with lots of teen readers. This anthology spoke directly to me because like the editors and some of the writers, I am of multiple ethnicities. Strangely enough I never thought of SF characters as all being white. I just always in my mind saw the characters as being of indeterminate ethnicities, believing the world would have moved on from pigeonholing people. I always thought that in the future everyone would be mixed, like in Ursula K. LeGuin's Lathe of Heaven. As an aside and the reason I so connected with this book is that both editors, in the preface and afterword, address an issue that more and more teens see every year, that of looking like a white person but being from a mixed cultural background.